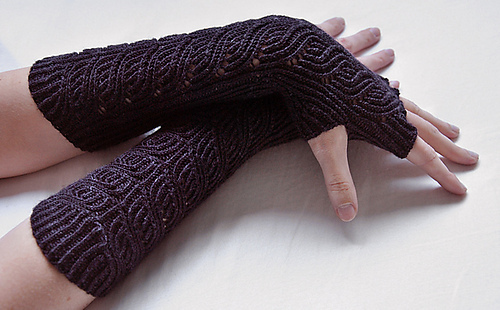 These are beautiful, elegant fingerless mitts knit in twisted ribbing. 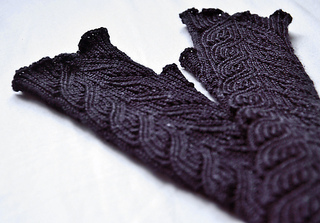 The lace pattern at the back of the gloves is easy to memorize. 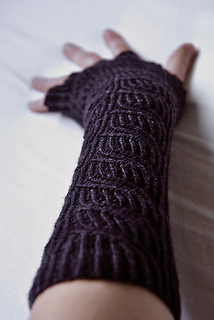 The fingers are created by sewing back and front of the gloves together. Length and width are adjustable.